Category Archives for "Current Tenants"
As a property manager, our ultimate goal is to make investment property ownership a stress-free and profitable experience for the property owners we work with. There are many ways we do that and we are constantly striving to find new ways to meet the needs of our property owners. One of the many services we offer are video inspections. This includes a recorded walk through of the apartment prior to a new tenant moving in as well as a recorded work through of the apartment when the tenant moves out. Video inspections are also provided when large repairs or improvements are being recommended. We have found the use of video inspections to be beneficial for both us and the property owners we work with. When a property owner decides to work with a property manager, there is a certain level of trust that has to grow in order for that relationship to work. A video inspection is really efficient and beneficial for all parties involved in a lease. Refuse the repair until you get verification that it was absolutely necessary. This creates an awkward situation for both the owner and the manager. One thing we do to eliminate the potential for an awkward situation and to build that trust with the owners is to conduct video inspections. This is effective in several ways. You can see a lot more detail in a video that you can in photo, and it allows us to zoom in on areas of damage while still providing perspective on where the damage is within the property. A video can also provide a better overall view of the property. This can be especially helpful when comparing the condition of the property when a tenant moves in compared to the condition of the property when the tenant moves out. Video inspections can be limited in that it creates a sometimes long process; particularly if you have to look through an entire video just to find one area of damage. However, we mitigate that limitation by using the video inspections in conjunction with a written inspection report. For example, if a property has exterior damage that needs to be addressed, we can provide a written report detailing the damage, repairs needed, and expected cost along with a video of the damaged area. In this respect, the video will enhance the information provided in the written report. Interior video inspections while a tenant is living there are sometimes difficult to get due to valid privacy issues for the tenant. However, this particular limitation can be addressed on a case-by-case basis. By providing the video inspections along with inspection reports we are building trust between us and the property owner while eliminating a possible awkward situation of the property owner feeling the need to ask for verification of property damage and repair estimates. Videos are also helpful when a case goes to court. We have found that video is significantly more effective when a tenant needs to be evicted or taken to court and there is property damage involved. Getting a video tour of the damage has a greater emotional impact than photos. The videos can also be used to show a clearer before and after condition of the property in court. If a deposit is withheld due to damages and the former tenant argues that they deserve all or part of their deposit back, it is the property owner’s responsibility to prove the damages were legitimate and caused by the tenant. This is when before and after videos are most useful. 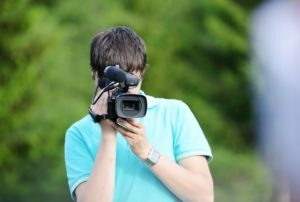 Video can also be used to lease properties faster and more effectively. How to leverage the power of video to promote your properties will be covered in How to Use Video to Lease Your Property Faster.